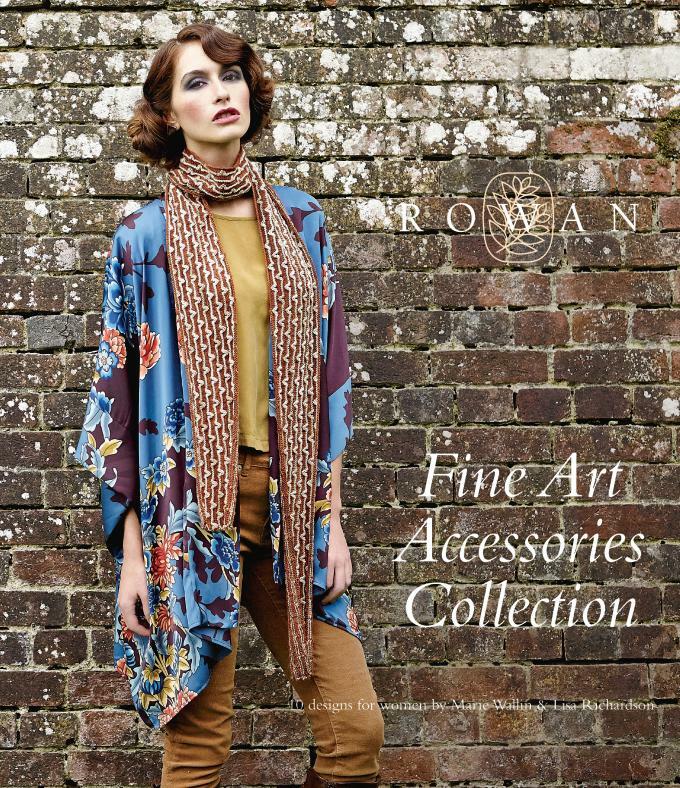 I love the Rowan Fine Art Accessories Collection – the styling in the book is stunning! I had one skein of Rowan’s Fine Art yarn to try out in Oak (312) and decided to knit the Everard Scarf designed by Marie Wallin. 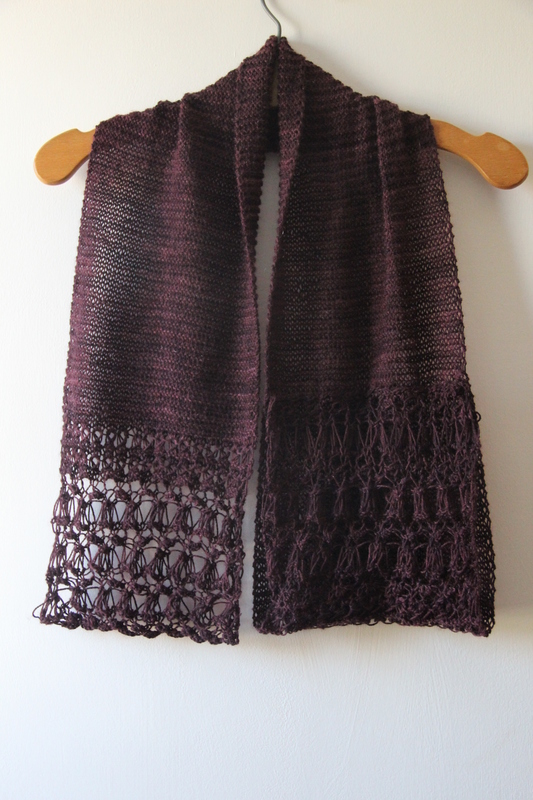 Although not naturally drawn to sock yarn, I really enjoyed knitting this (remember my one skein Lark Scarf )? The yarn is fantastic for all sorts of accessories, not just socks, and this collection features 10 gorgeous knitting and crochet designs for women by Marie Wallin and Lisa Richardson! Good news too that Rowan has launched 6 new subtle colourways to complement the original range. You can check out the colours here. Everard is described as being an easy knit in the design book. It only requires one 100g skein of Fine Art yarn plus a pair of 3.25mm (US 3 needles) and a pair of 4.5mm (US 7 needles). 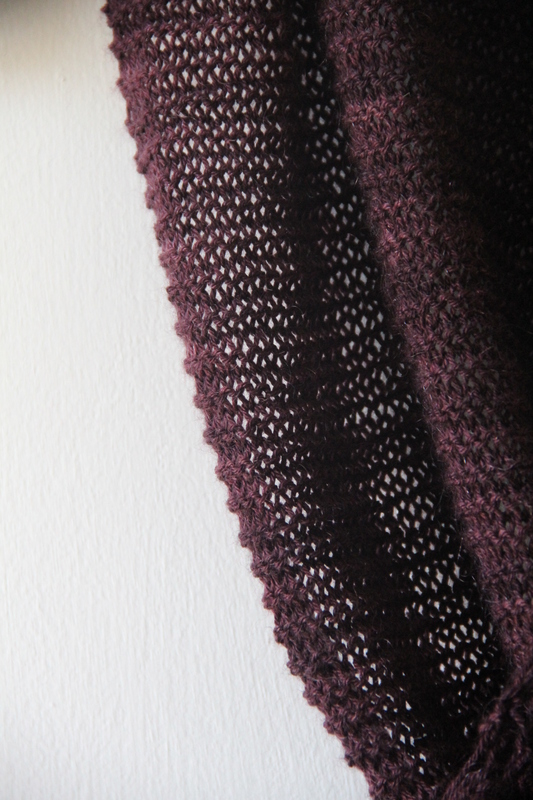 The scarf features a lace pattern at each end, and whilst easy to follow, some beginner knitters might find the Purl 5 together instruction a little awkward to manoeuvre to start with. I found that switching from my usual Addi click needles to my oak Art Viva needles did the trick as this stopped the yarn slipping around too much and preventing me from purling the group of stiches together. The oak colour was beautiful with a depth of colour reminding me of some of my favourite things…. coffee and chocolate! 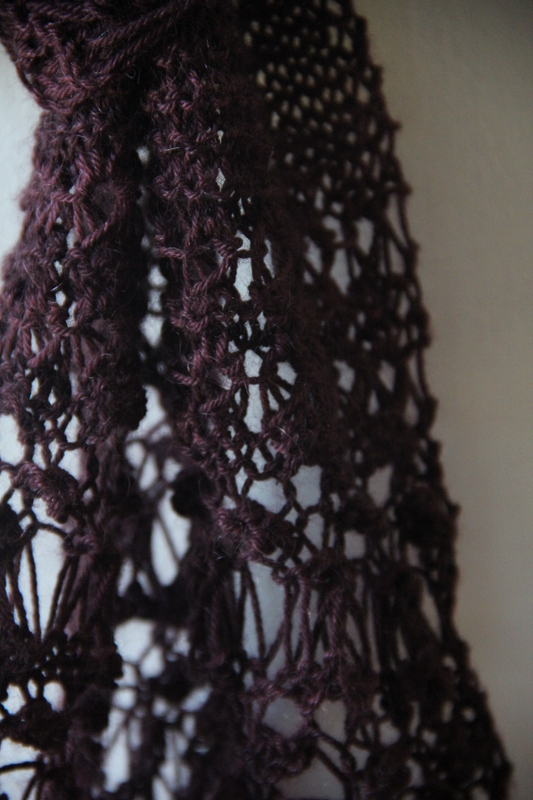 Gently washing the yarn with my usual lavender Eucalan and lightly blocking really helped the lace panels take their proper shape, which made such a difference to the overall finish of the scarf. To finish off, you can see in the photo how you fold the final lace section of the scarf up and sew the cast off edge in place to form a loop. To wear the scarf, you then thread the cast-on edge of the scarf through the loop. Fantastic! 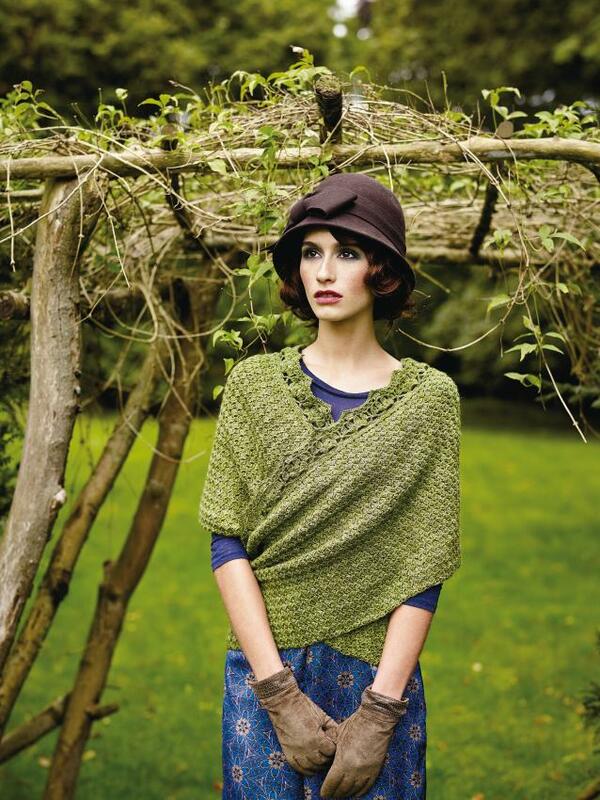 Pemba – easy straight forward knitting design by Marie Wallin, shown above using 4 skeins of Yew 313. 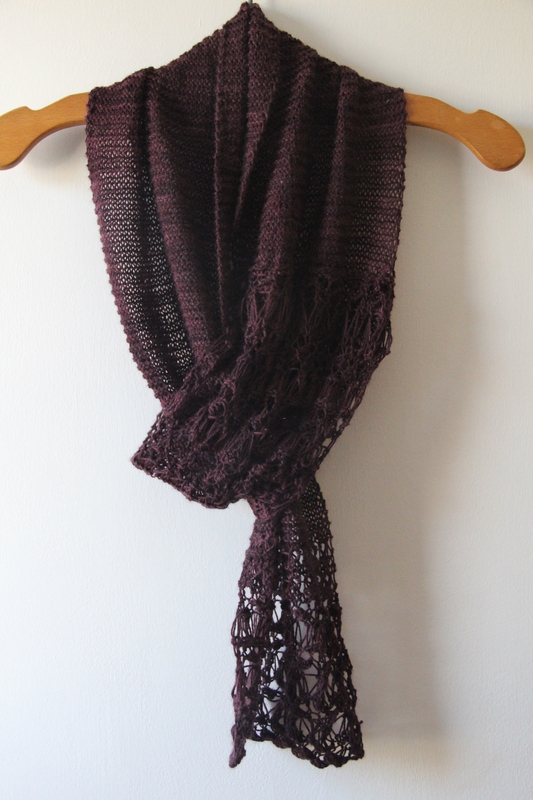 Methven – easy straight forward crocheting, designed by Lisa Richardson, pictured above in Maple 310 (4 skeins). Did you know that Rowan also recently launched another yarn to join the Rowan Fine Art family – Fine Art Aran? Again, a blend of hand painted colours has been used to achieve a unique colour effect. 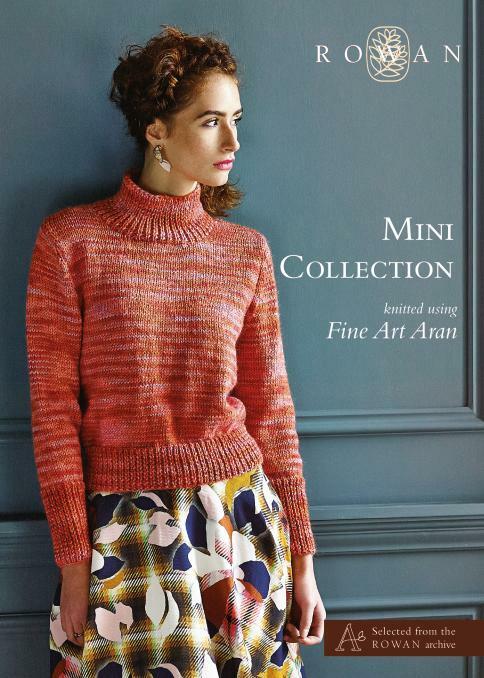 Take a look by clicking through to Rowan’s website here and the Fine Art Aran Mini Collection here. 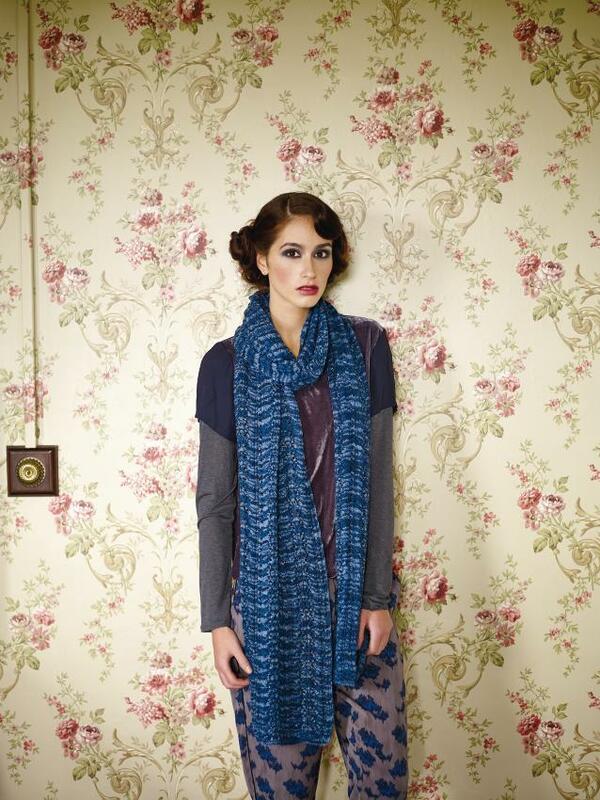 The Everard Scarf is going to be a gift for my mum for Mother’s Day at the end of March. I hope she likes it. Have you got any mothers day projects planned? This entry was posted in Crochet, Knitting, Rowan and tagged Everard Scarf, Marie Wallin, Mothers Day Gift, one skein scarf, Rowan, Rowan Fine Art, Rowan Fine Art Accessories Collection, Rowan Fine Art Aran on March 24, 2014 by Mint Essential Wellbeing. Thanks for sharing this fab collection!!!! I’m off to buy!!! !